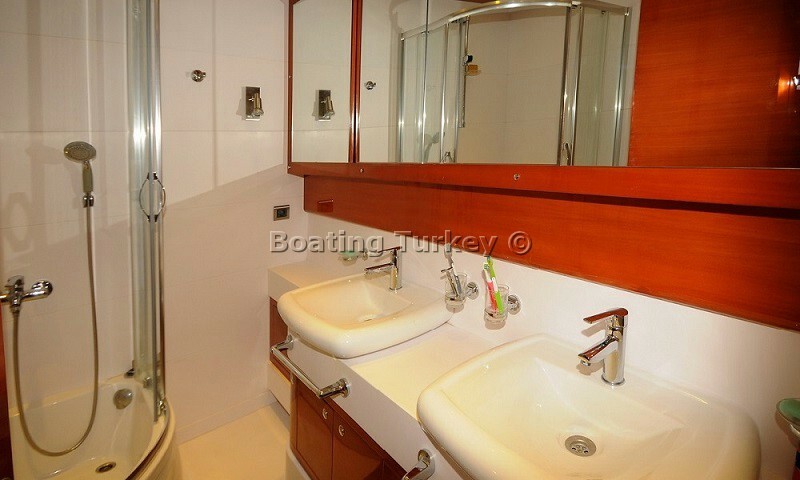 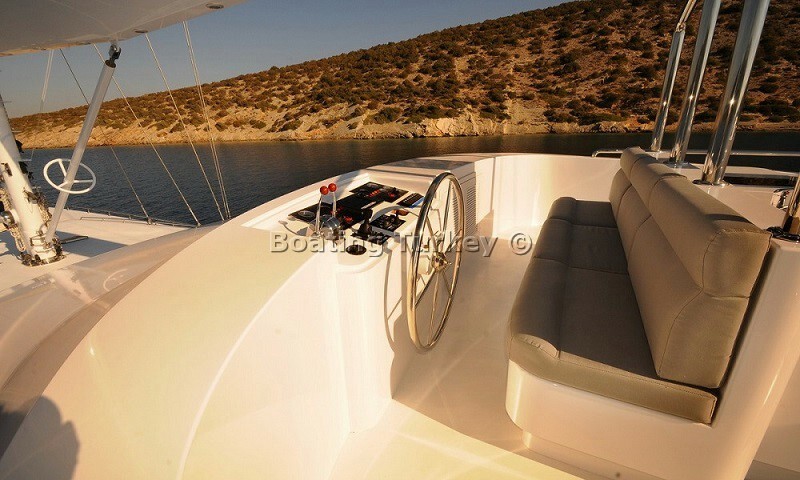 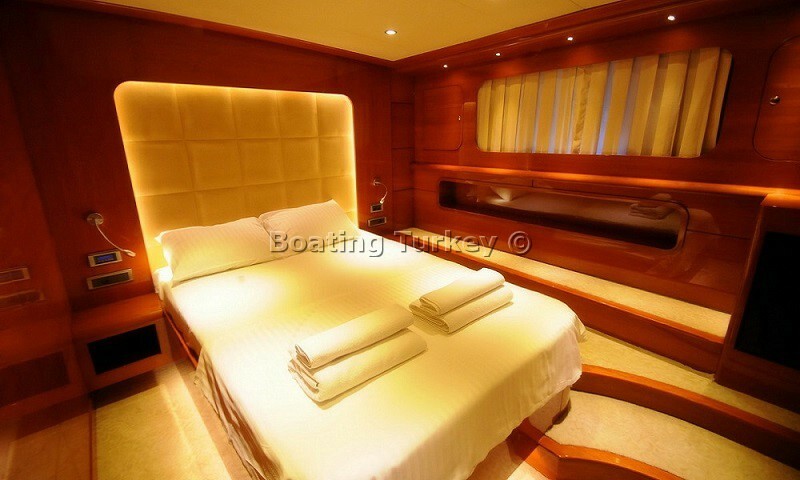 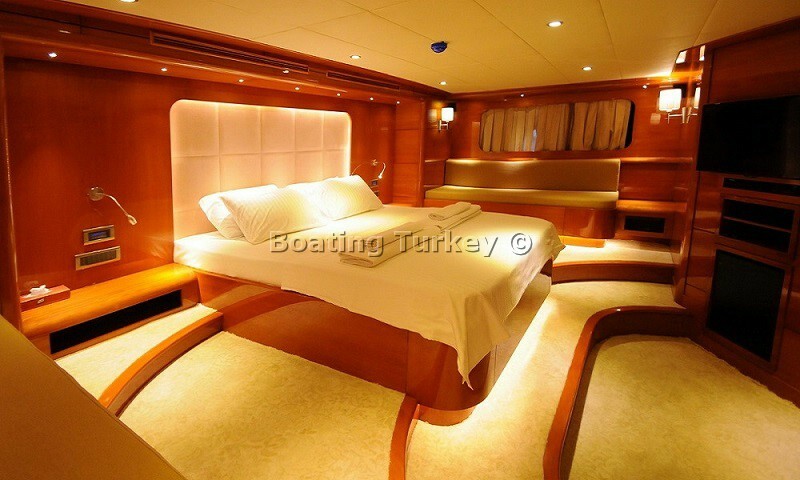 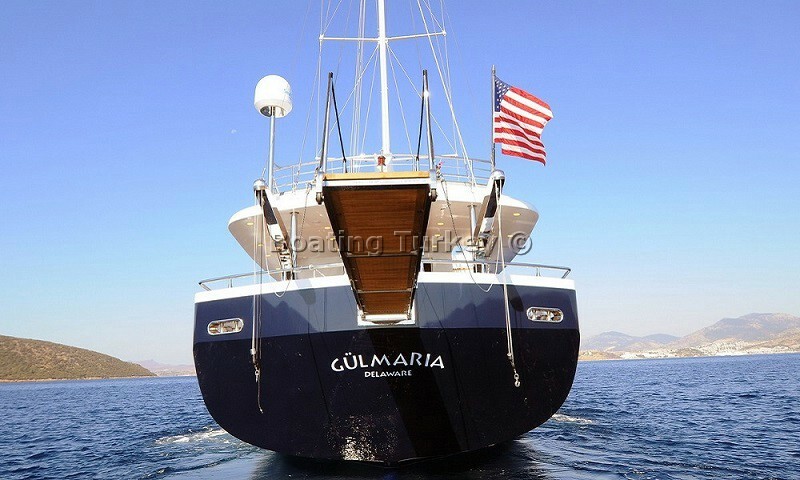 Boat Gulmaria has been custom-built with only the finest materials and along with luxury and elegancy. 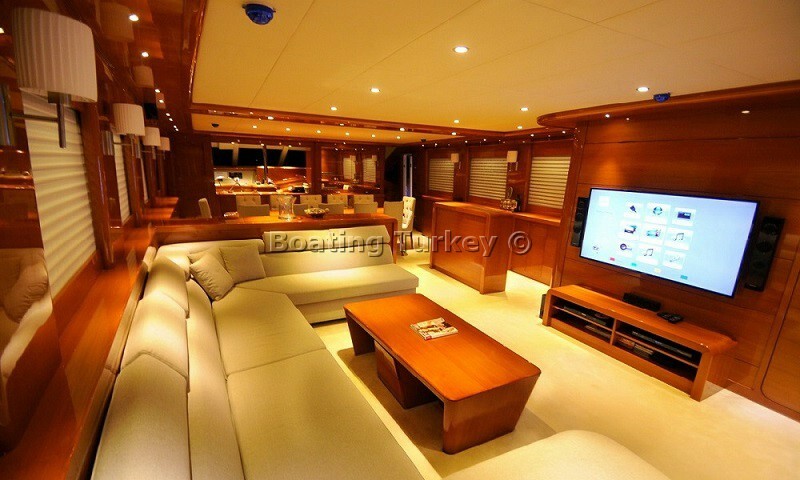 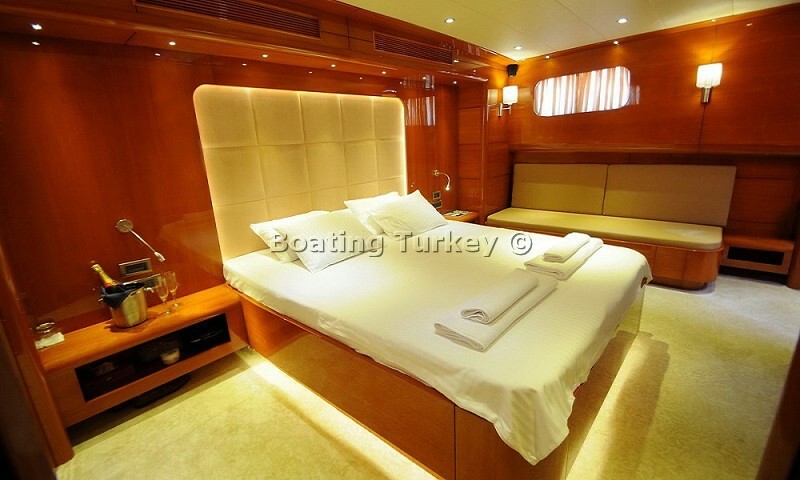 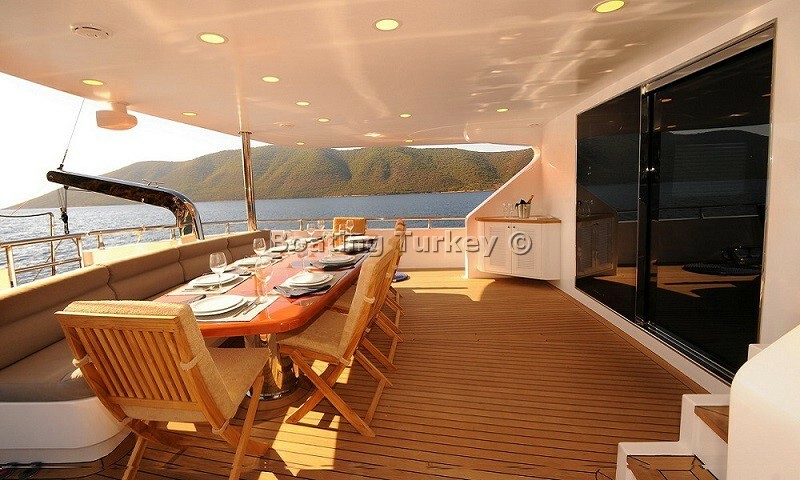 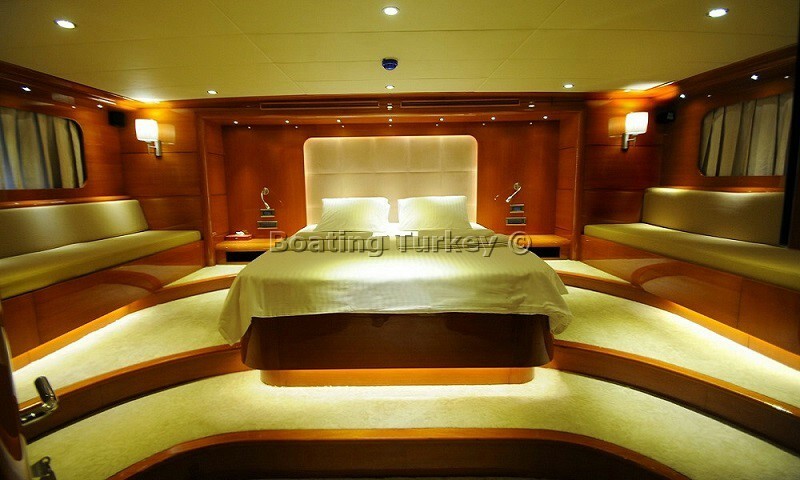 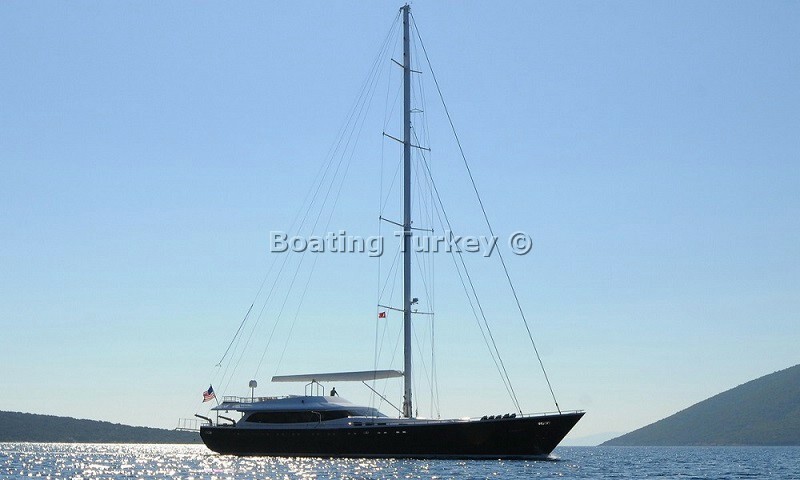 Gulet yacht Gulmaria offers luxurious accommodation for 12 guests in her 6 luxury cabins. 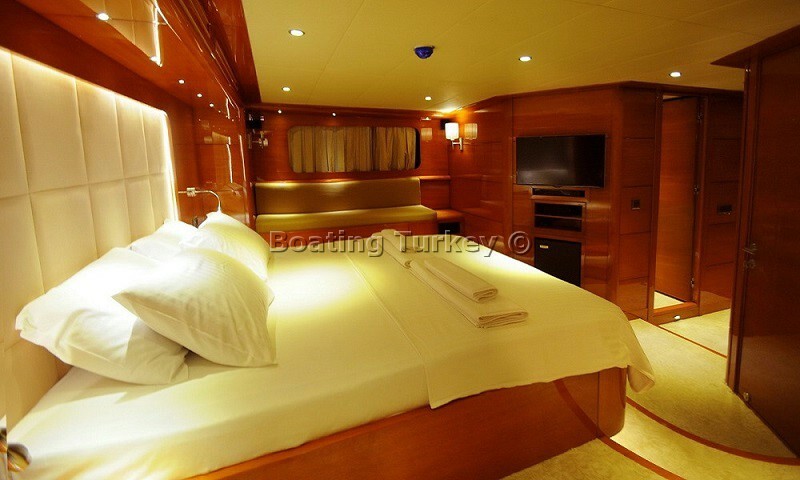 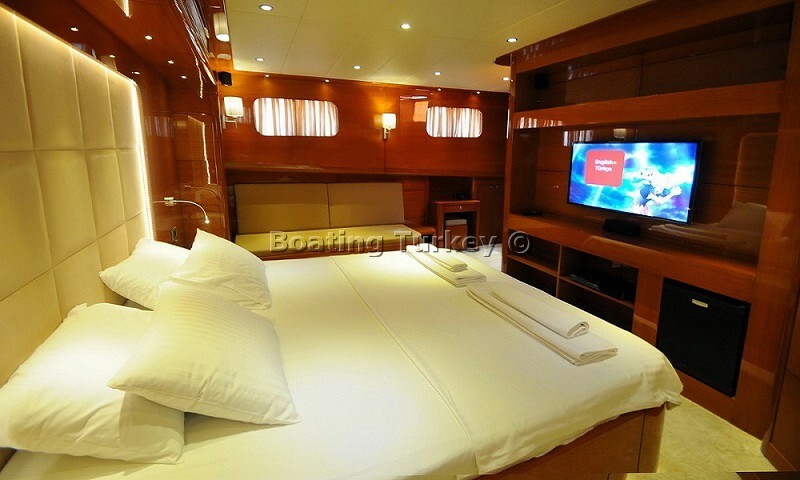 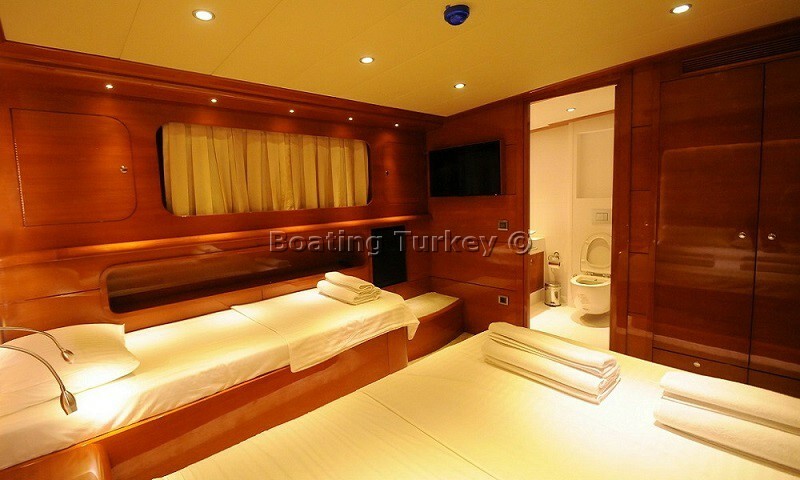 The two full width master cabins, one located forward and one aft, are each extremely spacious and simply decorated with the minimum of fuss. 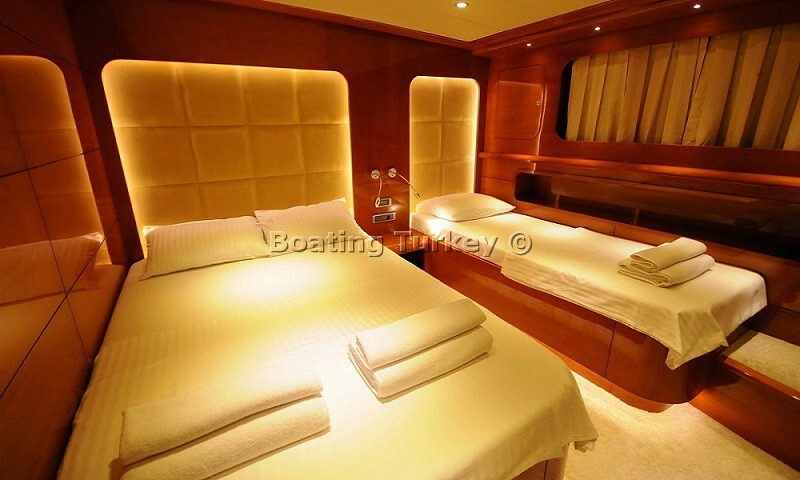 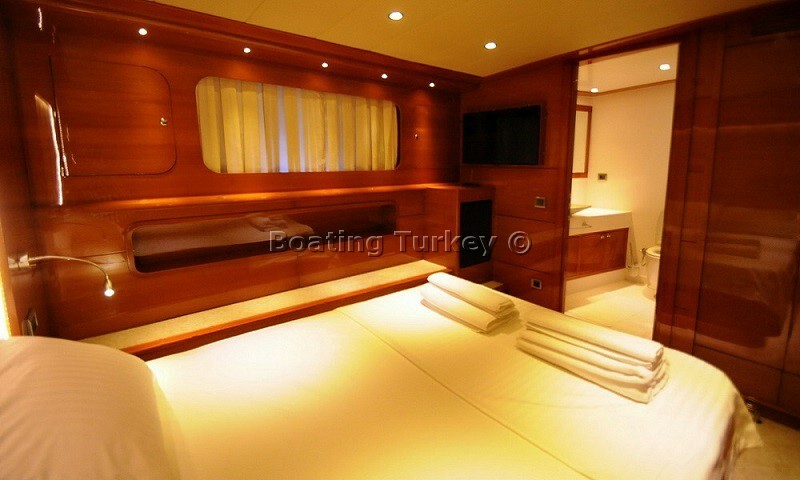 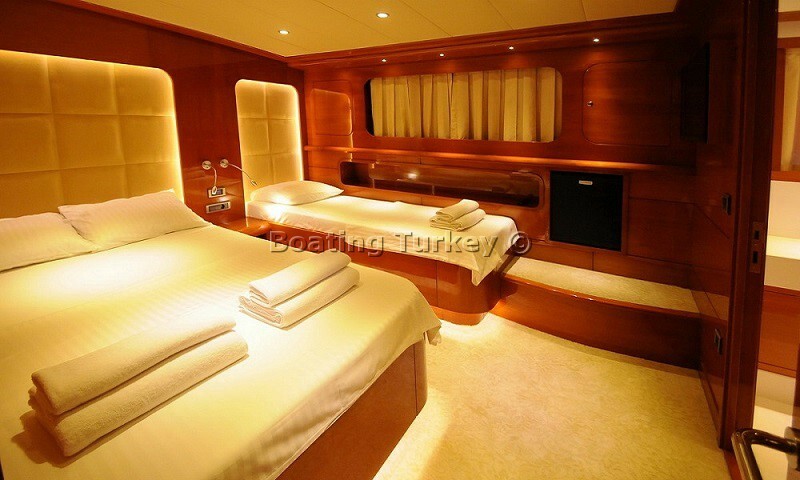 The four VIP cabins: two doubles and two twins, and decorated in the same casual, elegant style and an abundance of storage space. 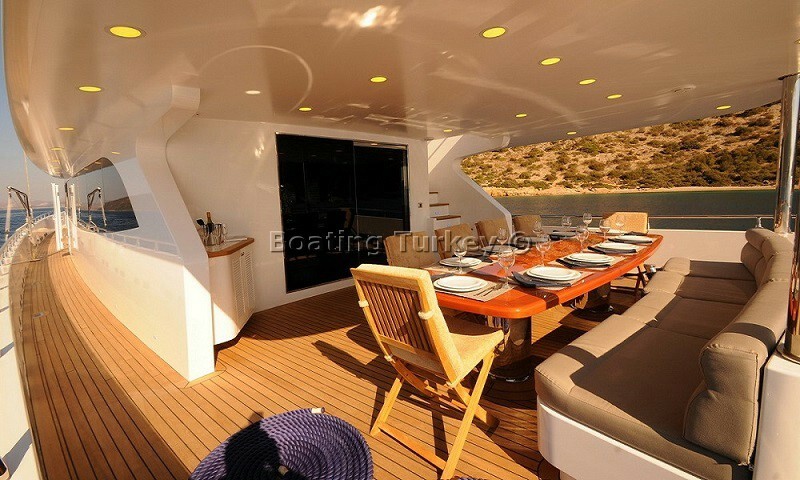 Larger flybridge exists as an expansive recreation area, complete with a soft sun pad for lounging in the sun or the shade and an inbuilt bar and barbeque. 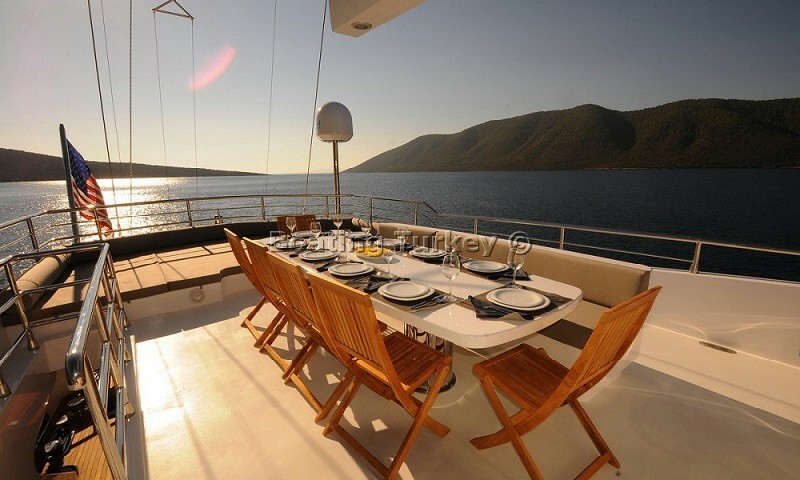 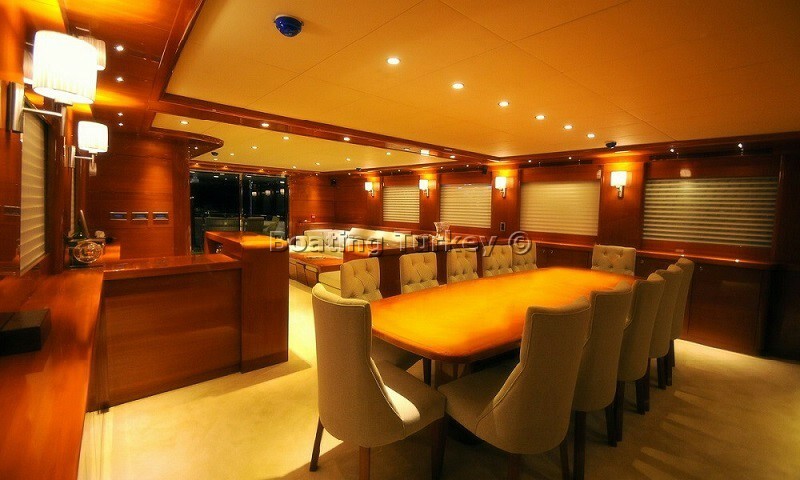 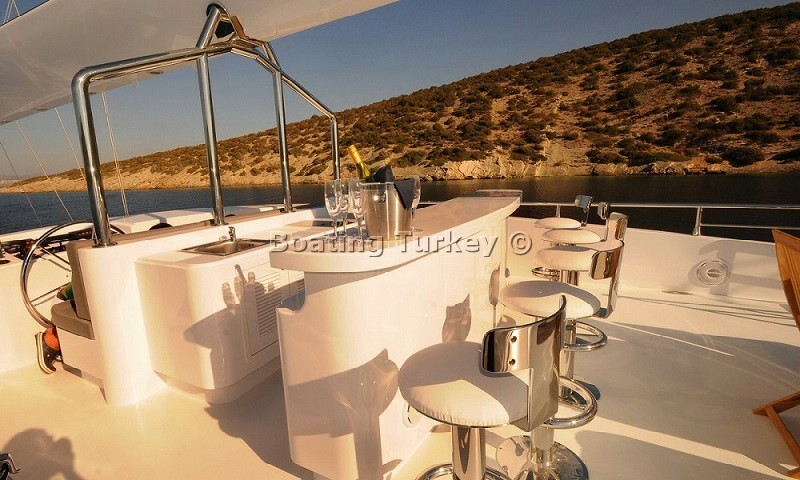 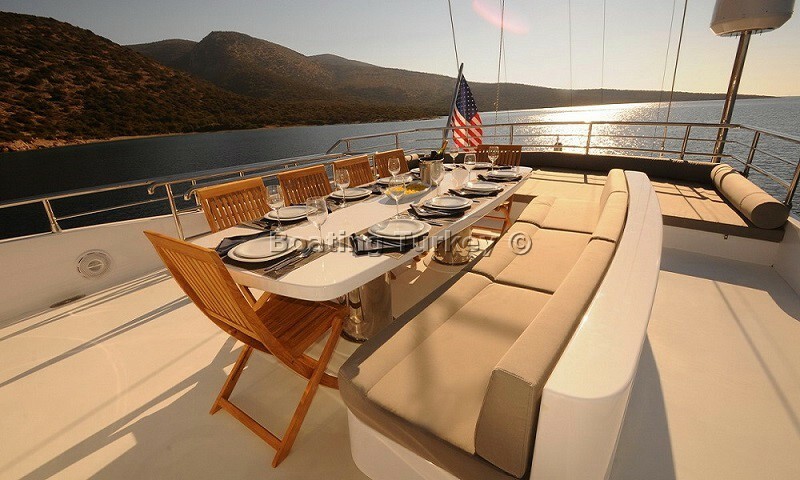 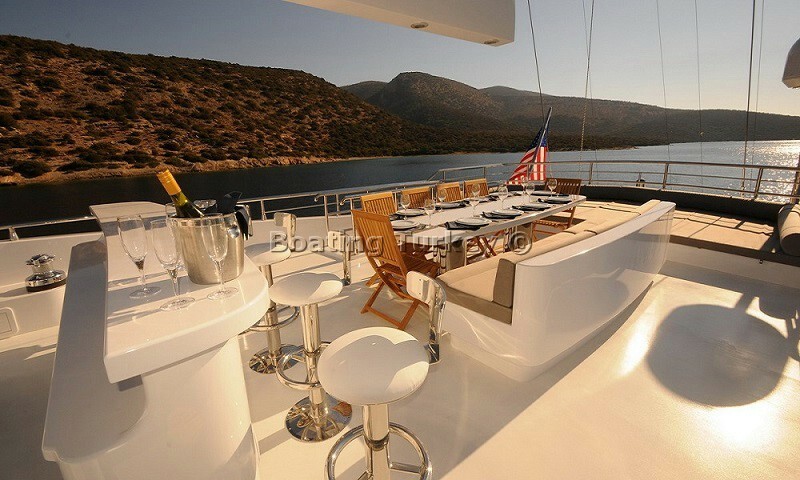 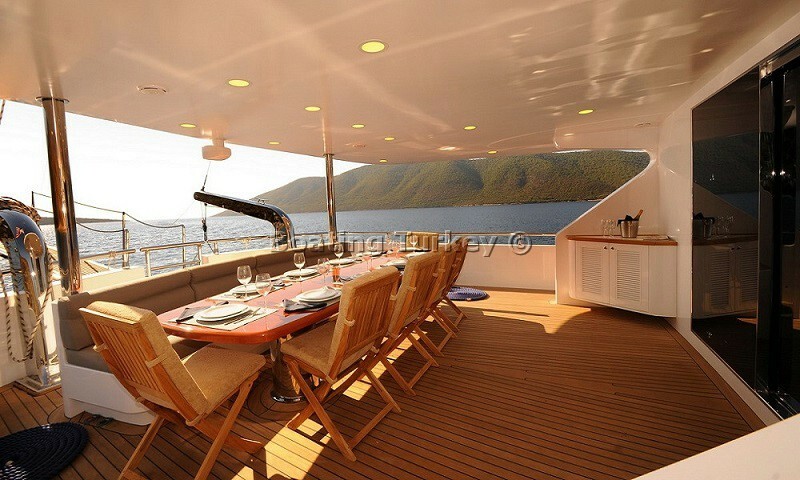 feature of the fly deck is a big dining table, which seats 12 guests around with comfort. 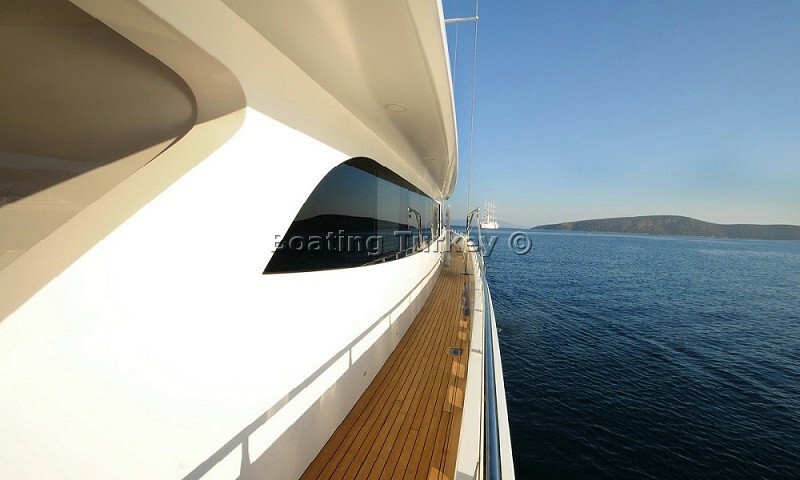 A glass door separates the saloon from the aft deck which is a perfectly shaded spot in which to relax out of the sun. 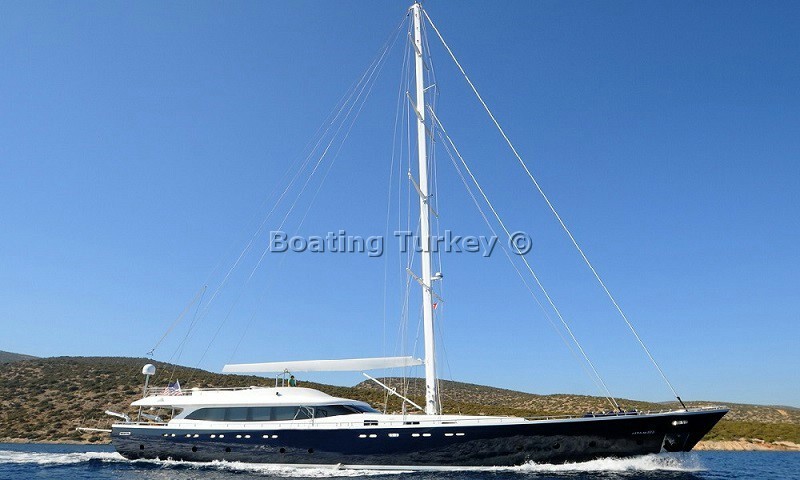 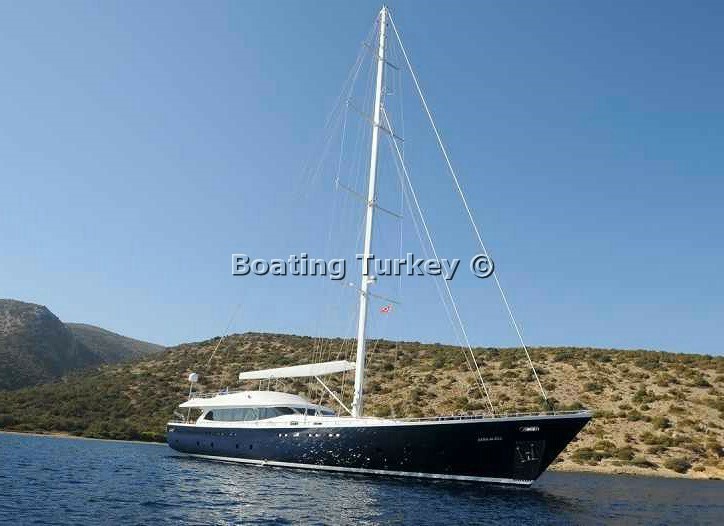 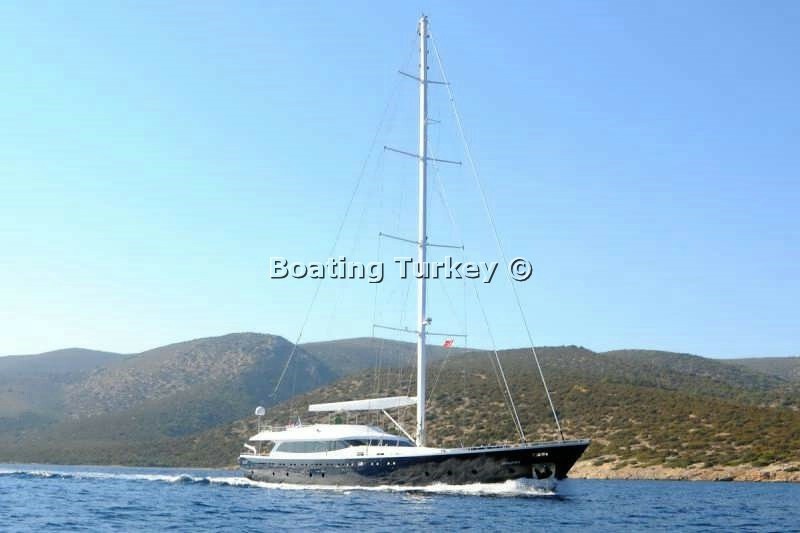 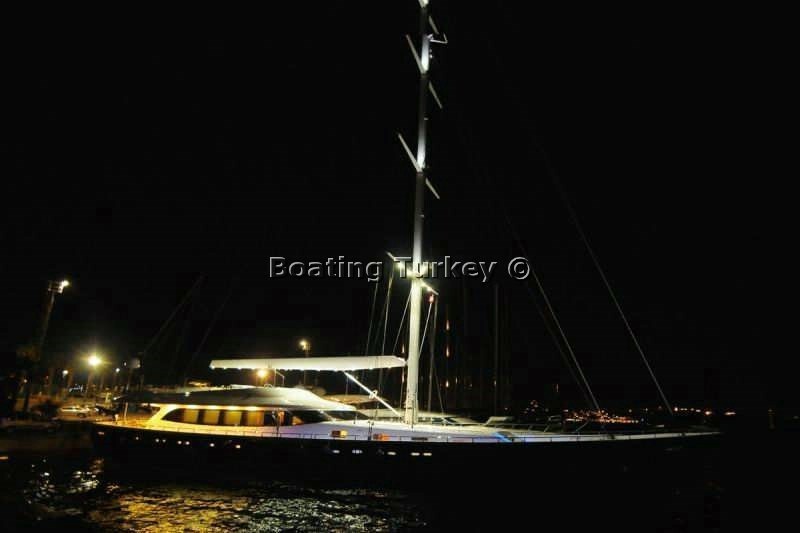 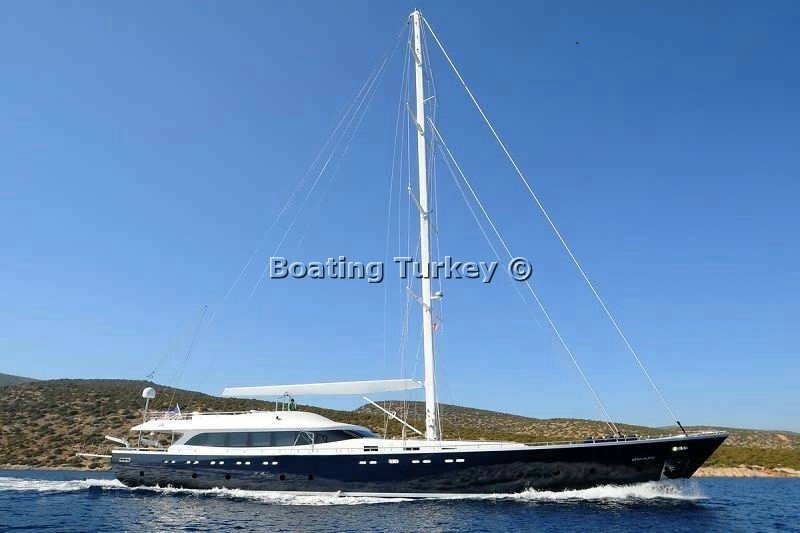 Charter luxury Gulet Gulmaria in Turkey with good early booking discounts or last minute deals, get your free charter quote and rent the yacht with the best charter price. 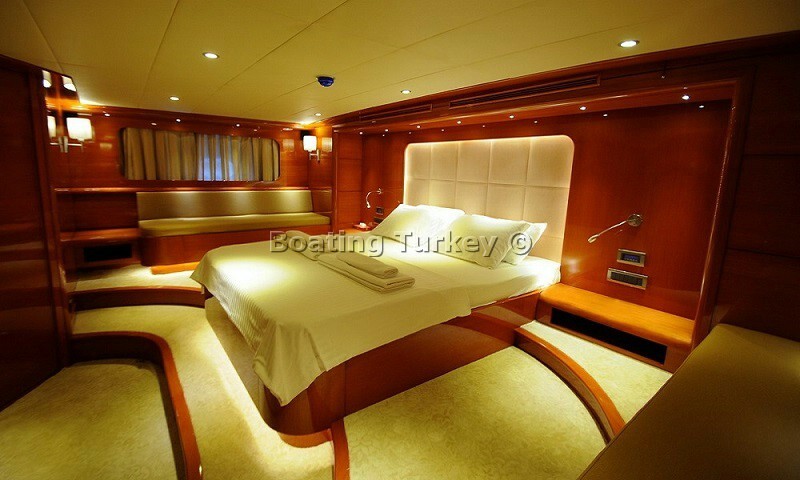 Turkish V.A.T 18% (Value Added Tax).